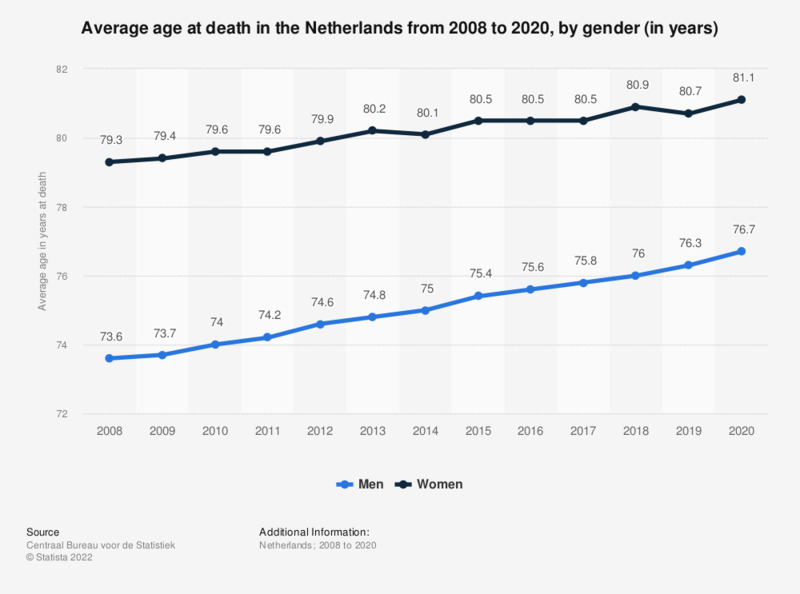 This statistic displays the average age at death in the Netherlands from 2007 to 2017, by gender. It shows that women on average were consistently older at death than men. In 2017, men on average were 75.8 years old when they died, women were 80.5 years old.